0 Arduino blocks your impulsive shopping. Literally. We see Arduino and open hardware used in projects solving strange and often very specific problems, but what about something as (unfortunately) common as preventing us from wasting money? 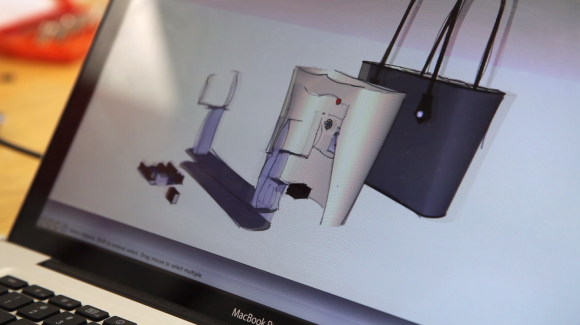 It could be done, at least in some way: australian project iBag adopted Arduino to create something which could stop impulsive shopping. As its name implies, iBag is a bag (a bit ugly, but it's just a prototype). 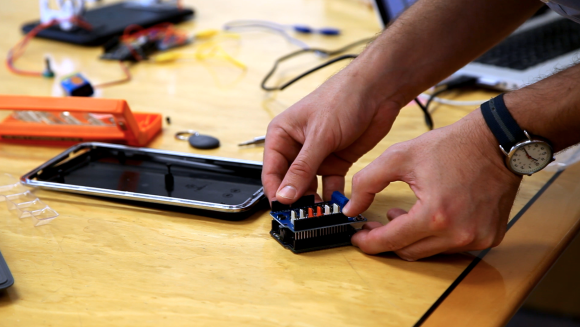 In its base there is a programmable Arduino board connected to a GPS sensor, a colored LED strip, a RFID reader and two motorized claws. All together, this system deplolys three lines of defense against impulsive shopping: looking at things is fine, buying is not. First of all, when the iBag senses via GPS that it's entering in a "shopping danger zone", its LEDs start flashing to warn who's holding the bag: start your self-control. This first defense is easily avoidable, that's why the Arduindo board is connected to a RFID sensor: when the iBag owner takes his/her wallet out of the bag, the board sends an SMS to a predefined phone number to let someone know that your self-control isn't so effective. If all this is not enough, Arduino can activate the motorized claws to lock the iBag during vulnerable spending times of the day, using its clock. iBag project was launched by credit card evaluation company Credit Card Finder, after a survey discovered that one in four australian credit card holders don't usually pay off their balance in full each month. Everybody knows what to do - keep that credit card away - but clearly not everyone is strong enough to actually do it. That's why Arduino comes to help. iBag is just a prototype, for now, but it can already be pre-ordered for 199 AUD (130 euros, more or less). Credit Card Finder says production will start if they receive enough interest.